Fresh French Fries Franchise Frozen or fresh cut french fries? Sammic French Fry System allows restaurant operators to serve tasty, healthy and popular fresh-cut fries in a consistent manner while dramatically cutting down food costs. There are diferent system options; from compact systems for smaller restaurants to large industrial system for institutions or commissary kitchens. Fresh cut fries are more expensive and allow less consistency than frozen fries. Taste like real potatoes. Customers notice it. Help operators save thousands of dollars a month, taking into consideration all variables including labor costs. Help set you apart from the competition. Performed during off hours, only once a week, fresh cut fries will stay perfectly fresh for 8-9 days when peeled, cut, vacuum sealed and refrigarated in one process. Potato Rumbler Machines. Up to 66 lbs. loading capacity per cycle. Commercial Potato Peeler Machines. Also useful to peel carrots and similar products. 240 Kg Potato Peeler PI-10 10 Kg. / 22 pounds load per cycle. 480 Kg Potato Peeler PI-20 Stainless steel construction commercial potato peeler. 20 Kg. / 44 pounds load per cycle. 720 Kg Potato Peeler PI-30 Stainless steel construction commercial potato peeler. Able to process full 50 lb. case in 1 batch. 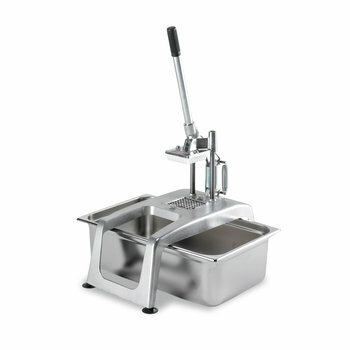 Professional hand chipping machine, designed to produce fries of different sizes within seconds. 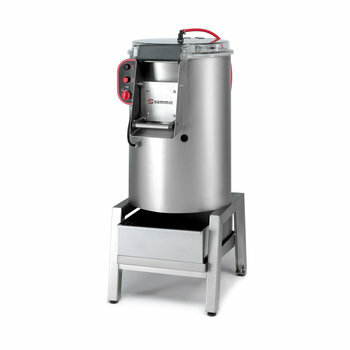 Ideal for restaurants and large kitchens, allows 200-350 Ibs per hour. Potato Chipping Machine CF-5 Ideal to make perfect french fries for restaurants and large kitchens. 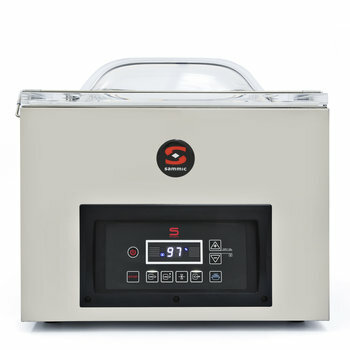 The Sammic SE line of vacuum packing machines incorporates a new control panel that uses a single program to adjust the vacuum percentage and includes an option to program up to 10 seconds of vacuum "plus". 10 m3/h Vacuum Sealer SE-310 Tabletop model. 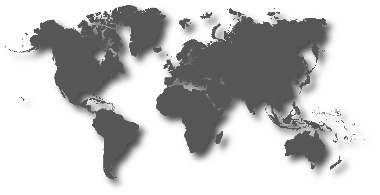 10 m³/h. 320 mm.